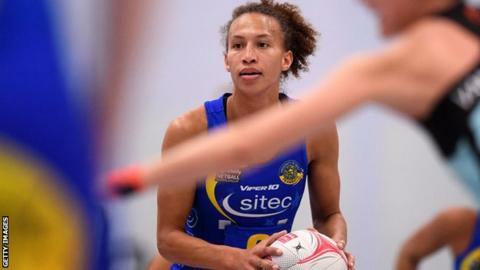 Table toppers Manchester Thunder slipped to a shock defeat by Severn Stars and were joined on points by Wasps after round 14 of the Superleague. Wasps took control in the second quarter and secured a 58-51 away win over Saracens Mavericks in Milton Keynes on Monday evening to trail Thunder by just two goals. Loughborough Lightning lost to Team Bath, which put the victors three points clear of top-four rivals Lightning with four games remaining in the regular season. Surrey Storm continued their good form and followed up their victory over Lighting last time out with a tight win over London Pulse. Celtic Dragons secured their fifth win of 2019 with a 10-goal defeat of struggling Strathclyde Sirens, who are now without a victory in eight games. The battle to make the semi-finals is rumbling towards a thrilling conclusion, with seven teams mathematically in with a chance of grabbing one of those top-four spots. The pressure is on to get points on the board, so this match-up between third-placed Bath and Lightning in fourth was, as expected, cagey and littered with both sloppy errors and moments of brilliance. But it was the home side who emerged victorious, with their defence so resolute in the second half that Lightning's usually ruthless attack just could not find a way through. "It was a crazy game with massive swings in the scoreline and momentum," said Lightning head coach Sara Bayman. "When we drew level in the final quarter it was a huge opportunity to go on and win, but ultimately errors and strong defence from them stopped us getting it done." Who has still got goosebumps after this moment? Monday marks one year since the England Roses secured the greatest result in their history, stunning Australia to win their first Commonwealth Games gold medal. It was a thriller, with Helen Housby scoring the decisive goal with one second left on the clock. That breathtaking victory also led to the squad winning both the Greatest Sporting Moment and the Team of the Year awards at the 2018 BBC Sports Personality Show. And now you can relive the pure sporting drama, the emotion, the breathless commentary from Caroline Barker and Sara Bayman and the action because the match is now available to watch in full on BBC iPlayer for the first time.